As part of my final project for the Certificate course in Botanical Illustration at the New York Botanical Gardens (www.nybg/adulted.org) , I am producing a series of pieces all related to a theme that supports a project statement. My chosen theme for my final project is Seeds and Pods. 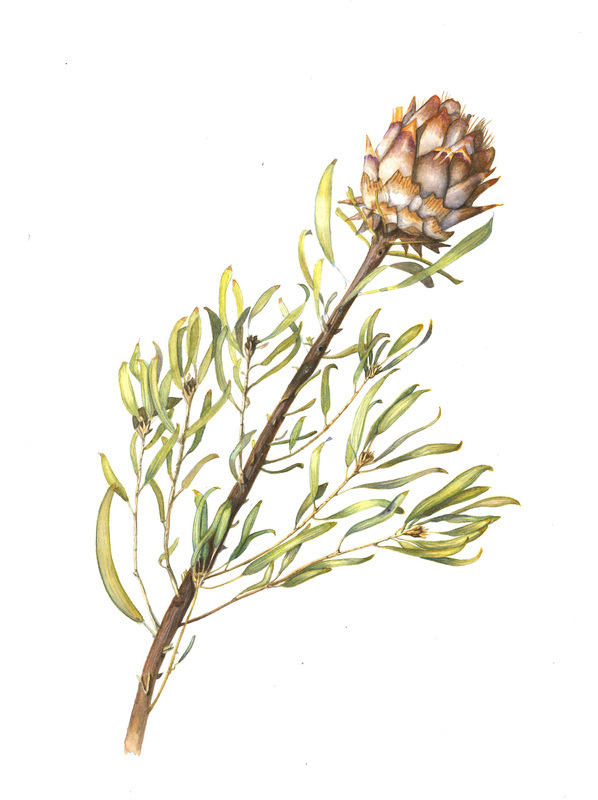 Botanical art is so much more than flowers. I would like my project to remind viewers of this. Seeds and pods can take a highly recognizable form of say an apple, but often they are overlooked, like a secret waiting to be discovered. Such tiny objects can have huge consequences - look at the trouble a few beans caused in "Jack and the Beanstalk!". A seed holds potential energy, with a story mapped out that the artist can tell. They are designed to travel, fly, lie in wait inside their own tailor made vehicle, the seed pod. Architecturally a seed and its pod can rival societies' most beautiful buildings. From the soft hairy pod of the balloon plant (Gomphocarpus physocarpus) to the rock hard grooved black walnut pod, pods vary as much as any other kind of plant or animal to suit its environment. I am aiming, with my final portfolio, to get across how varied seeds and pods are in terms of their structure and method of propagation. Each painting will provide a view of the "going to seed" stage of several plants and trees from both temperate and tropical regions. This interpretation will show how intricate and interesting these seeds and pods are as opposed to dry husks left over from a glory past. This is a Tea Mangrove seed pod I collected in Costa Rica. The Pelliciera rhizophorae belongs to the "true mangroves" and is one of the most fascinating mangroves as well as the rarest and most endangered. Only a few coastlines in Central America provide a habitat for this mangrove. The name 'Tea' Mangrove was given to this mangrove species because of its leaves which contain tannins and other substances found in tea. As a result of this, the Tea Mangrove was considered part of the Tea Plant family for over a century. It took me a while to figure out what this dried flower head was, but it is a dried leucodendrum. Ultimately they open up and their fluffy seeds fly off. 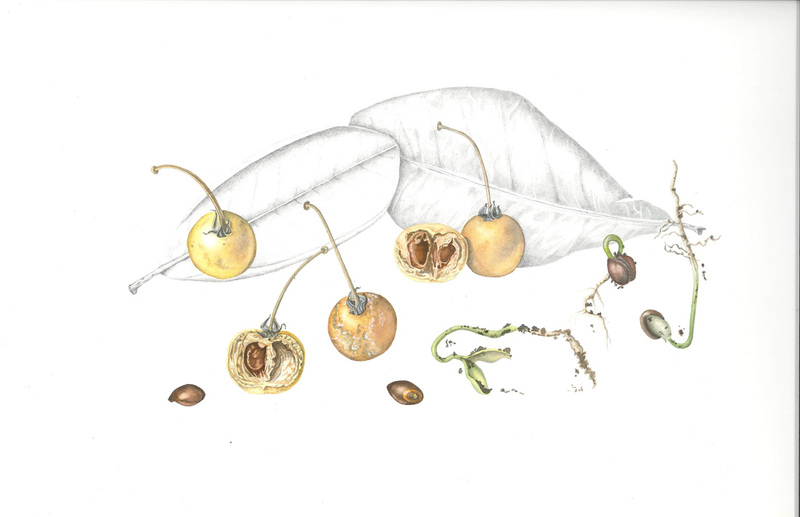 Hickory seed pod in three stages of releasing its seed (watercolor). The hickory leaf is in graphite in the background.